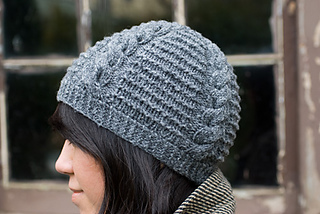 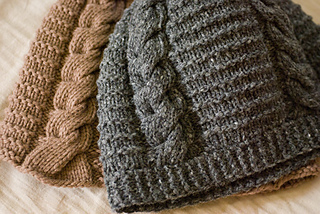 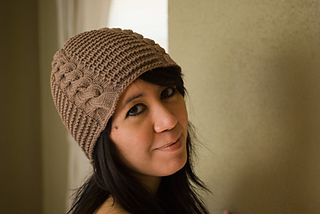 A textured, cabled hat with options for a garter-stitch brim worked flat, then grafted together and joined for working in the round, picking up stitches for the main body; the second option is without a brim, simplified, with a pretty effect at the edge from the natural flare of the cables. 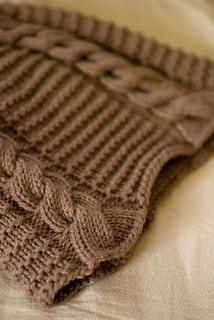 Instructions are provided both charted and written. 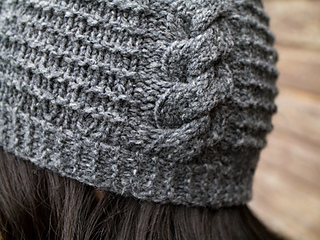 My sample knit in Shelter used up almost exactly 1 full skein of yarn, with less than a foot left over; to be safe, and taking into account minor variations in personal gauge, the pattern calls for 2 skeins.